Minnesota State Fair Named the Best in the US! Ferris wheels, midway thrills, 4-H and deep fried everything ... each year states from sea to sea celebrate their history, heritage, culture and cuisine at state fairs, but not all of these festivals are created equal. 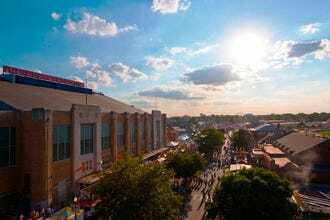 For the past four weeks, USA TODAY 10Best readers have been voting for their favorite state fair, and the results are in! 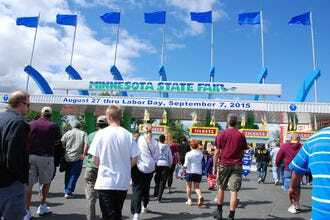 The 12-day-long Minnesota State Fair is one of the region’s most widely attended tourist activities, drawing about 1.8 million visitors a year to the fairgrounds in St. Paul. It’s one of the nation’s biggest fairs, employing 80 full-time employees and about 2,500 people during fair time. The fair is located on a 320-acre fairground and runs during days leading up to Labor Day. As an added bonus, this fair received an award for ethics, given to companies with exceptional customer service and integrity. The Iowa State Fair, known as “America’s classic state fair,” is Iowa’s biggest celebration. It draws more than a million people every year to Des Moines and has earned its fair share of fame. 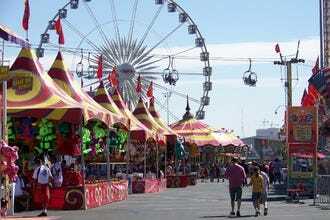 This fair was the inspiration for the book State Fair by Phil Stong, as well as a Broadway musical and three movies. 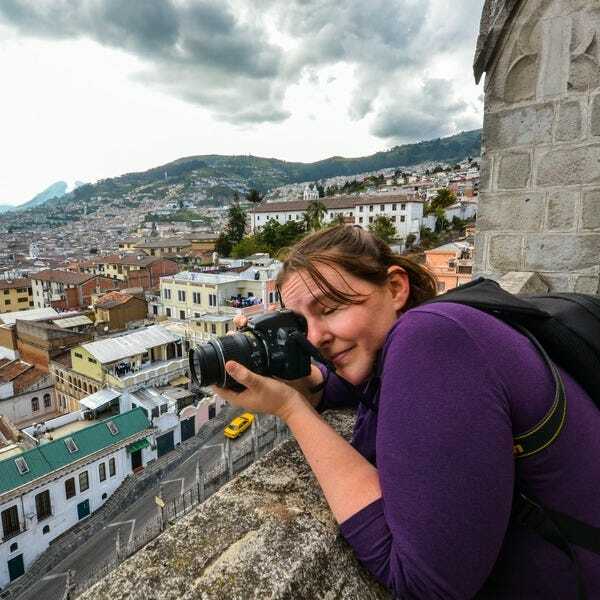 It’s even on the National Register of Historic Places and made the book 1,000 Places to See Before You Die, as well as two related travel books. Don't miss the giant cow sculpted from butter. 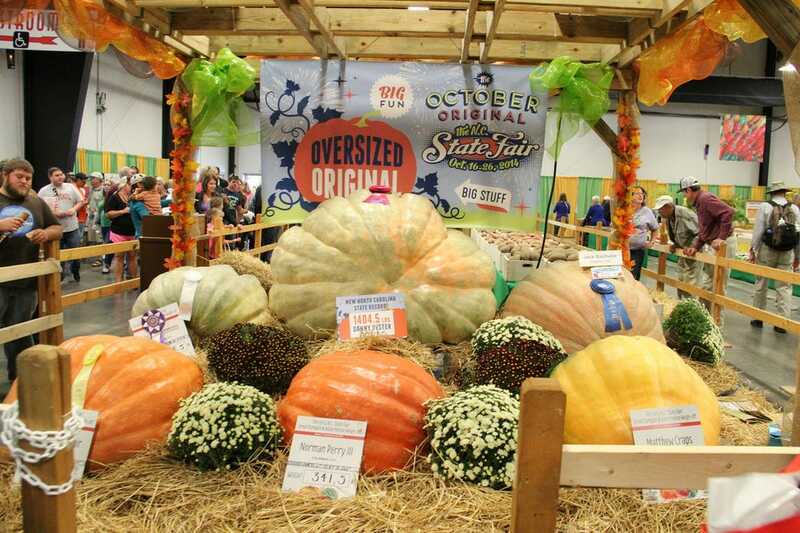 The Eastern States Exposition brings together agriculture, heritage and creativity from six different states: Connecticut, Rhode Island, Vermont, Maine, Massachusetts and New Hampshire. The event itself, also known as The Big E, is located in Massachusetts and is the biggest ag event on the eastern seaboard. It’s the fifth-largest fair in the United States, and also home to one of the oldest and most esteemed horse shows in the country, the Eastern States Exposition Horse Show. 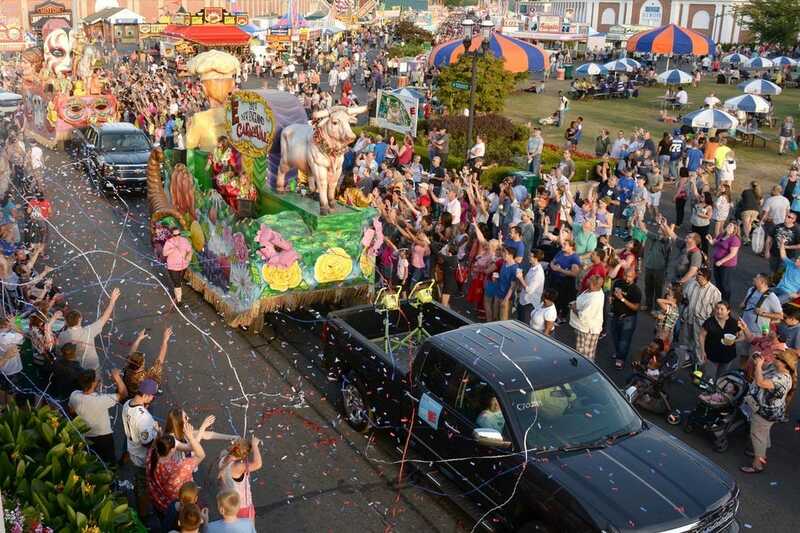 In addition, the Big E features commercial, artistic and industrial fields, as well as star-studded entertainment. 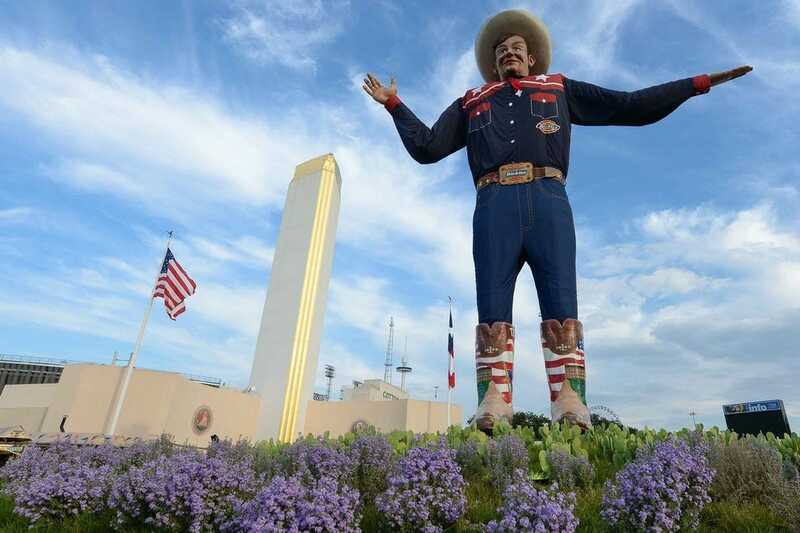 In true Texas style, the State Fair of Texas does it big. 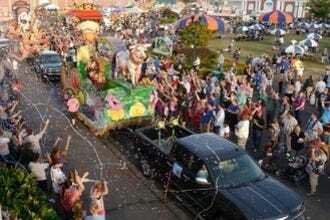 In fact, this fair lasts 24 days, making it the longest-running fair in the country. Every year, it draws millions of visitors for the car show, chili cook-off, shopping, agricultural expos and other activities. Foodies can get creative with the deep fryer in the Big Tex Choice Awards, where in years past, fried beer or fried peaches and cream have taken the stage. The nonprofit fair started in 1886 as a way to celebrate Texas agriculture, community and education, and it still prioritizes that original purpose today. The fair was named a National Historic Landmark. The Great New York State Fair started in 1832, and today it’s one of the Northeast’s biggest gatherings of Baby Boomers, who make up a large chunk of the one million-plus attendees. 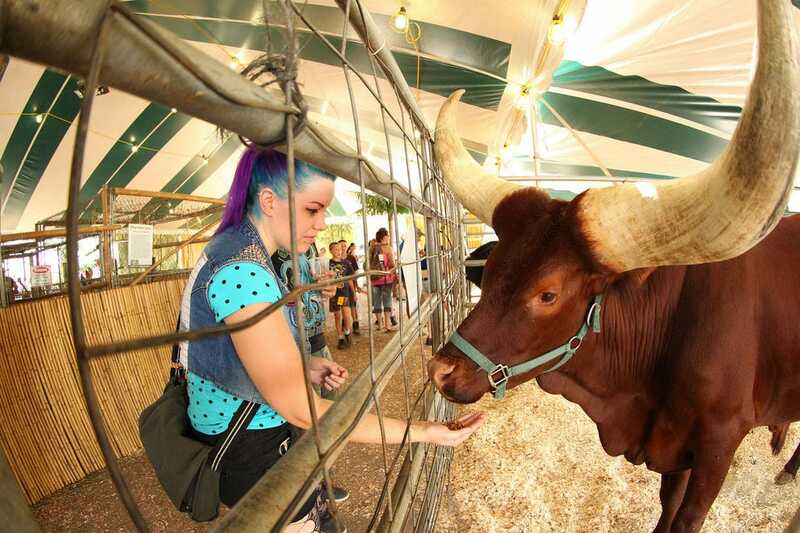 The 12-day festival includes food, exhibits, entertainment, a circus, petting zoo, historic train, rides (such as an ejection seat and power jump), equestrian shows, consumer competitions and other community activities. The music component is huge, and it transforms the fairgrounds into New York’s temporary music capital and draws big-name artists. The California State Fair has been celebrating the state’s agriculture, traditions and businesses for more than 160 years. The 17-day fair is the largest food festival in Northern California, with more than 120 food vendors bringing in $9.5 million in sales this year. It also features more than 3,000 exhibits and events, from technology, horse racing, drone racing, soccer, an olive oil competition, agriculture, big-name musical performers and the biggest carnival in NoCal. More than 780,000 people attend every year. 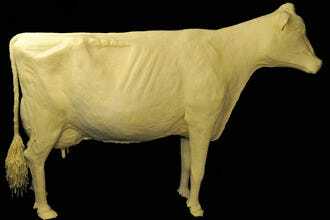 The Indiana State Fair is the sixth-oldest state fair in the nation, originally started in 1852 to bring local farmers together to share ideas and display their products. The 17-day-long event has grown since then, but aims to stay true to its roots. The educational, family-friendly fair also has had some big events, including performances by the Jackson Five in the ‘70s and a sold-out Beatles show. More recently, the fair opened a $10-million Youth Arena, a glass barn to show how farming works and a $53-million renovation on the coliseum. Nearly one million people attend the 12-day Ohio State Fair every year. This community event in Columbus has the typical fair action, as well as some unique features: a Lego train, camel rides, a massive tic-tac-toe game, a tattoo competition and one of the world’s longest portable sky rides. Food is a central attraction here, with hundreds of different options, including 30 different kinds of food on a stick (think chocolate-dipped cheesecake). The fair has come a long way since it started in 1850 on about 10 acres of grass with cattle tied to a railing. This fair has roots going back more than 130 years (although it had several interruptions throughout the years due to various struggles, such as crop failure). Over time, thousands of musicians have performed in the Coliseum, including Elvis, The Rolling Stones and Rihanna. Big-name musicians are common here. Beyond music, it offers typical fair activities, as well as some unique ones, such as spirit dancers, a hypnotist and a bear show. 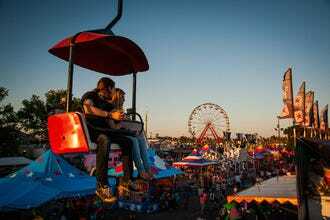 The 11-day North Carolina State Fair is the biggest event in the state. 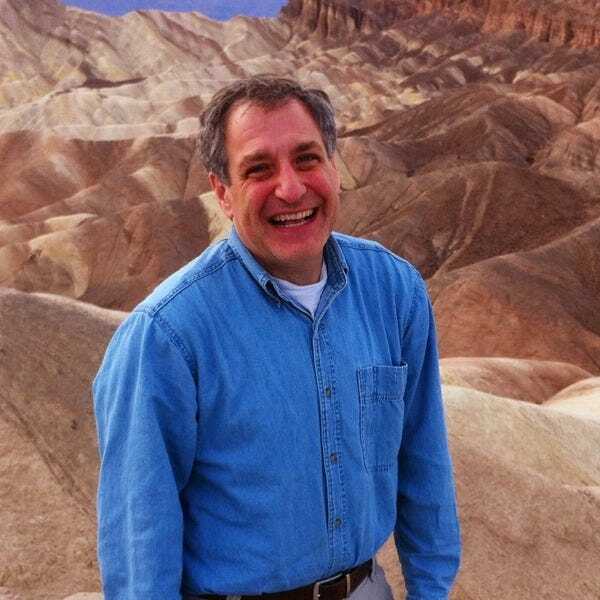 It draws more than 800,000 visitors (and has topped one million in the past). On the fairgrounds’ 344 acres of land, visitors can hear live music, fill up at food vendors, play games, ride at the carnival and see exhibitions. The fair awards more than $600,000 in prizes every year. 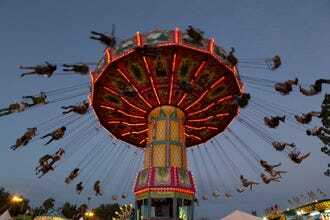 The North Carolina fair started in 1853 and continues today as a way to celebrate the state’s commercial and agricultural contributions, as well as remember the state’s history. Eastern States Exposition - West Springfield, Mass. Great New York State Fair - Syracuse, N.Y.
North Carolina State Fair - Raleigh, N.C.
Additional nominees for the title of Best State Fair included the Alaska State Fair, Colorado State Fair & Rodeo, Illinois State Fair, Kentucky State Fair, Nebraska State Fair, Oklahoma State Fair, Oregon State Fair, Washington State Fair, Western Idaho Fair and Wisconsin State Fair.